Are you excited for the Georgia/Alabama game on Monday? The one that will crown the 2018 National Champi…oh, wait. 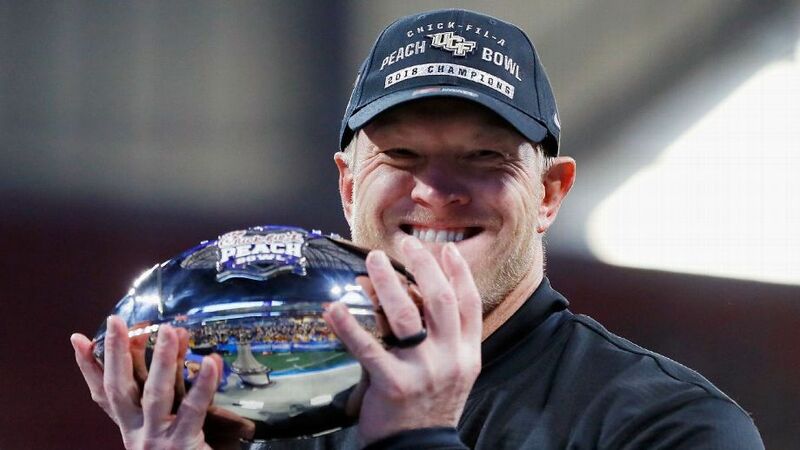 Apparently the University of Central Florida already claimed the 2018 National Championship after their Peach Bowl victory over Auburn (admittedly, the only team who beat both Georgia and Alabama this season). What are we to make of this? In one sense, it’s almost honorable: the school is celebrating a group of students who accomplished something remarkable and is even paying its coaches the national championship bonuses called for in their contracts. There is even precedent for this behavior: calling yourself a national champion—despite the facts of the case—doesn’t seem to be anything new. There’s even the (potentially, for you) compelling argument that…who cares? This is a “sports ball” issue and, honestly, isn’t there so much else in this world upon which we might more profitably spend our time? But—all of that aside—there is that one little thing: either Georgia or Alabama will be BCS National Champions…not UCF. I’m not here to dump on UCF, though…I’m here to say that I AM UCF. I totally and completely understand the urge to self-proclaim. To self-create. To self-justify. It is perhaps the most human urge there is. In the 90s, there was a small-time (though they seemed like they might be pretty big back then) band called Incubus, and their hit album was called “Make Yourself.” (I’ve actually written about this album before). The gist of the title track is that you’ve got to make yourself, because if anyone else does it, they’re going to mess everything up. This is the opposite of the truth. We are all making ourselves all of the time, and we are incessantly messing everything up. There is perhaps no more self-evident truth in the world today: to the extent that I am in charge of myself, I mess up. The only reason I don’t hang a pastor-of-the-year banner inside my house is that my own family would laugh at me. No one else is going to name me pastor of the year, so I’d better do it myself, right? No one else is going to value me, so I'd better value myself. No one else is going to...but wait: what if someone has? What if I already had all the value I could ever need? What if I was already as secure in my belovedness as I ever could be? What if I was already as justified as it was possible to be? I am. You are, too. That is exactly what the Good News about Jesus Christ proclaims. That is the Christian Gospel. There is no need to self-create: you are created in the image of—and then redeemed by—God. There is no need to self-justify: the righteous blood of Christ has accomplished that justification for you. There is no need to hang a National Championship banner…you already had an incredible season. The thing that UCF sought so desperately—excellence and dominance—is already theirs. That thing we seek so desperately—love and acceptance—is already ours in Christ. Sometimes what seems to be the opposite truth in the future will prove so relevant to her that it is difficult to believe and accept it.